I wonder if you can help me or indicate who might be able to help further? Over a number of years I have been interested in my “Walton” family history. The family lived in Heptonstall for many years. Leaving for Cornholme sometime after 1851 and before 1864. I have now traced the family back to my 4 X Great Grandfather, Moses. He was born around 1740 and died 12th July 1801. It would appear that he was married to Mary Greenwood on 16th March 1758, they had at least 3 children, William, Henry and Jimmey. Mary died and he remarried Annah Greenwood a widow at Heptonstall St Thomas on 8th February 1781. They had at least 3 children, Tommy, William and Joseph, b. 6th April 1788. Joseph being my 3 X Great Grandfather. Joseph appears in the 1841 census with his family living at Broadstone. My 2 X Great Grandfather John married Betty (nee Pickles) at Heptonstall Parish Church on 30th December 1841. They lived next door to each other in Broadstone in the 1841 census. I am interested in any further information about Moses. Is it possible to trace his family any further back? There is a family rhyme indicating that Moses father is Harry and Grandfather Fred. I wonder if you can help me or point me in the right direction to discover further information? Please respond to Howard’s enquiry by way of a Comment below. Any such responses will be forwarded to Howard by email. Visit the Festival Website, see the Festival Events pages or down load the Festival Guide. Click on the image for a larger, printable version. As part of our ‘Preserving the Past for Future Generations’ initiative Pennine Horizons Digital Archive will be hosting a ‘Scan-2-Save’ event. Local residents have a wealth of old photographs which we would love to make copies of and save in our collection. If you have anything that you would like to share then please get in touch with us or just bring the item(s) along to one of these events, where we will have the facility to make a copy right there and then, meaning that you will be able to take the originals home with you. This is a crucial part of what the PHDA is about, which is preserving our past for the benefit of future generations. We are already indebted to so many local residents for allowing us to copy what is often, to them, a cherished possession, adding as it does to this fast growing Community Archive. The Community website regularly receives enquiries from people researching family history which typically ask if we can assist with information about relatives that may have lived in the Heptonstall parish area in the past. We in turn would be interested to know where such information may be found, and what arrangements are in place for such information to be accessed, in order that we can respond to the enquiries in the fullest way possible. If anyone has any knowledge on this subject, please get in touch using the Contact Us page. 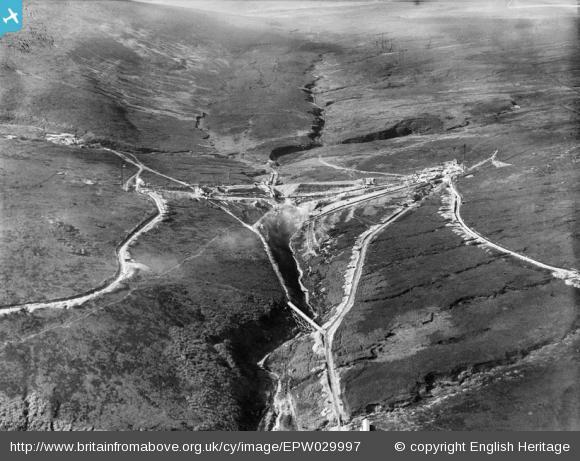 Some interesting early aerial photographs of the building of the Gorple reservoirs and Hebden Bridge are available on the Britain From Above website. Taken in 1929, the Gorple pictures show the building of the dams with the navvies’ huts close by. The Pack Horse pub is visible in the distance of one of the 13 pictures. 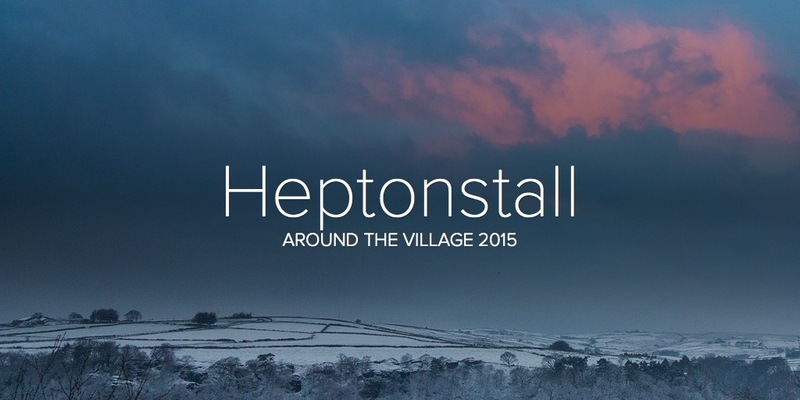 To find the whole set, search for Heptonstall, one is shown below. 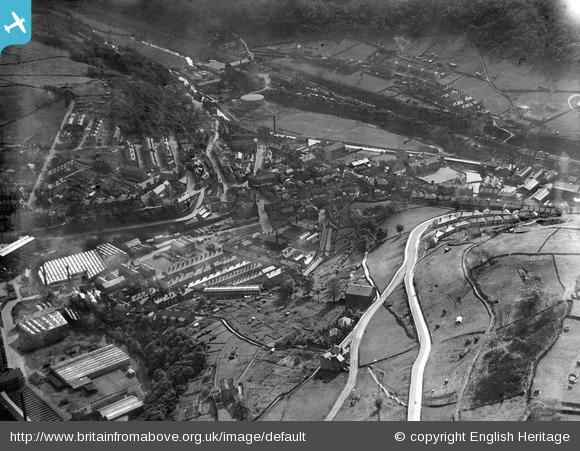 The four Hebden Bridge pictures, taken in 1931, show the many mills in the valley bottom with Heptonstall Road leading up above it, the now demolished Cross Stones Methodist Chapel at the top of the buttress is also visible.